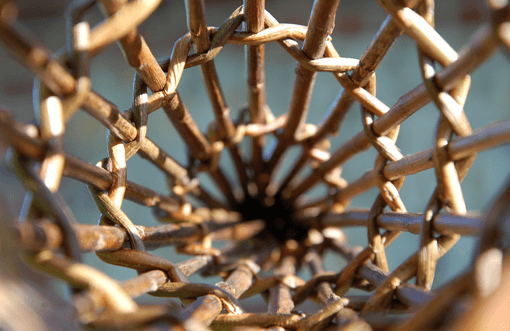 This series of workshops allows you to become absorbed in willow handcraft skills. 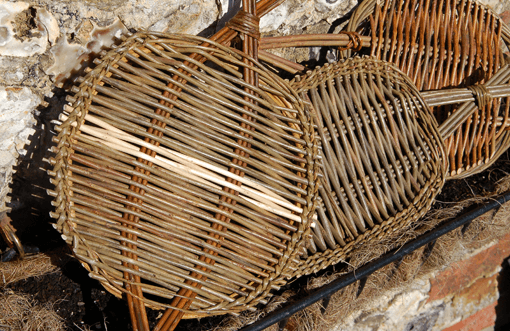 Many of the skills covered are fundamental weaving techniques needed for basket making so this course is a great start if you would like to progress onto basket making. As well as gaining skills and techniques you will learn how to store, soak and prepare willow for your own use. We will undertake various projects including tension trays, bird feeders, apple pickers, dragon fly sculptures for the garden, and ending the course with an evening of making a number of Christmas decorations. Have fun relaxing, crafting and creating with your tutor Mollie Butters. Hot drinks and delicious biscuits will be provided to fuel your evenings work.